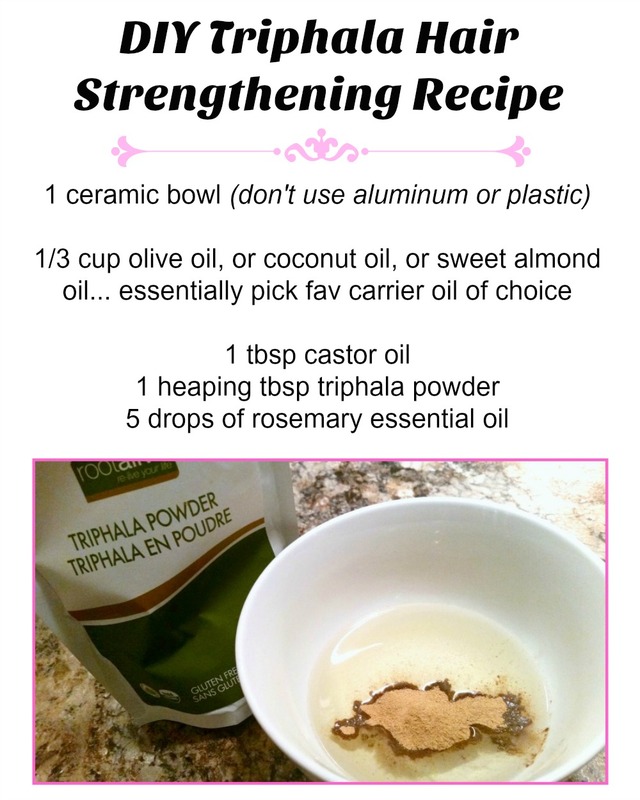 During one of my many Pinterest lovefest moments, I crossed an article on “triphala”…? Totally new to me, triphala is a mix of Indian herbs that you can eat or use in skincare. Used in ayervedic medicine for over 2 thousand years, I felt like I was in the dust on this powder powerhouse. Excited, I put together a top 7 triphala benefits chart! Big headline for me though, is the fact triphala can strengthen hair roots. 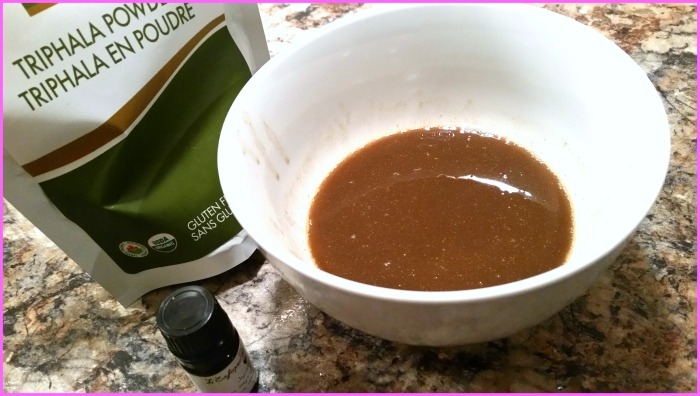 After toying with this stuff and coming out with awesome hair, I’m excited to share my DIY Triphala Hair Strengthening Recipe further down. What the heck is Triphala? The word “triphala” means = 3 fruits! Triphala itself is a brown, unscented powder (that’s packed full of taste) made by mixing 3 herbal fruits I’d never heard of in my life: bibhitaki, haritaki and amalaki (sometimes also called: amla or Indian Gooseberry). Anyone who toys in ayurvedic medicine, triphala is a “must” staple herbal medicine. 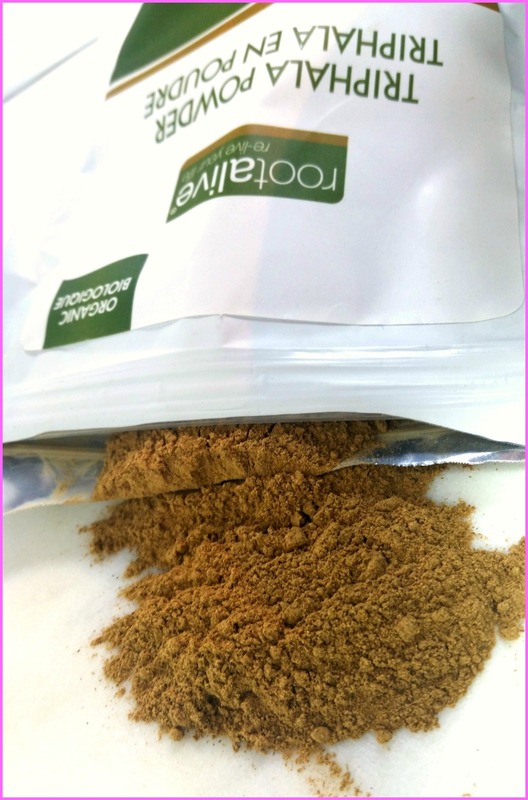 I bought my organic triphala at “Winners” believe it or not (100g on sale for $3 too! ), but you can score this stuff at any health freak store. You can find it on AMAZON too of course! 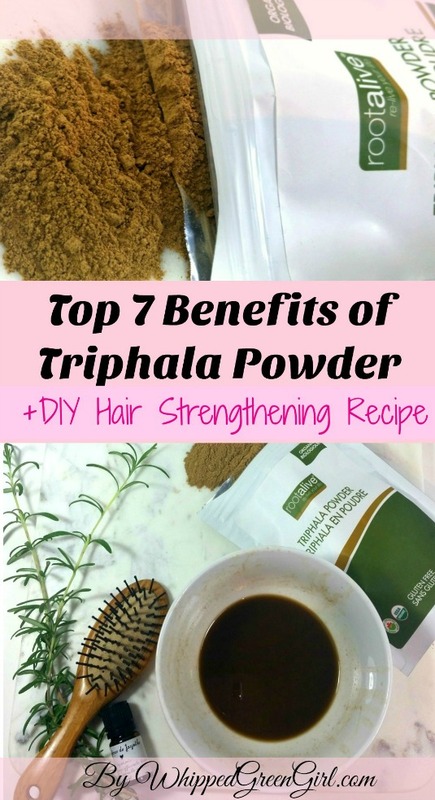 If you too, have helpless hair, I hope you get the chance to try this DIY Triphala Hair Strengthening Recipe! Stoked to say my results were instant- smooth, soft, manageable hair. Seriously also gave life and boosted my new hairs coming-in too! So I went to the drawing board and started searching for something new- triphala came into my life like a perfect hair day! *GET FANCY* I used an essential oil blend made by “Maison Jacynthe” – called L’Exfopro ($18.95Cnd). Filled with rosemary, lavender, thyme, eucalyptus, chamomile essential oils & more… I use it for so many things! 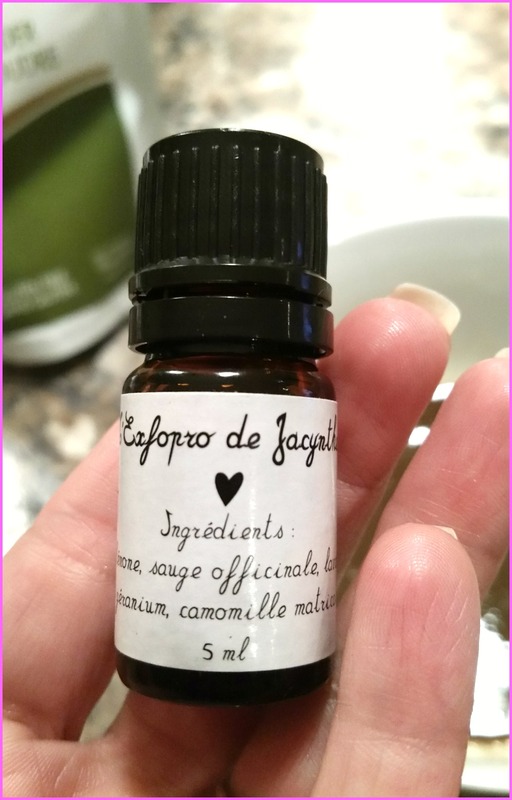 Maison Jacynthe’s essential oil quality is amazing and her blends never fail. Get greasy – don’t be scared, the more the merrier. Literally, drop your dead ends directly in the bowl and use that to spread the oily mix all over your head (from root to tip). Let it soak-in overnight and give your hair a good washing the next morning. Discard any extra oil (since I’m telling you to stick your hair and hands all-up in it…) or use it all. 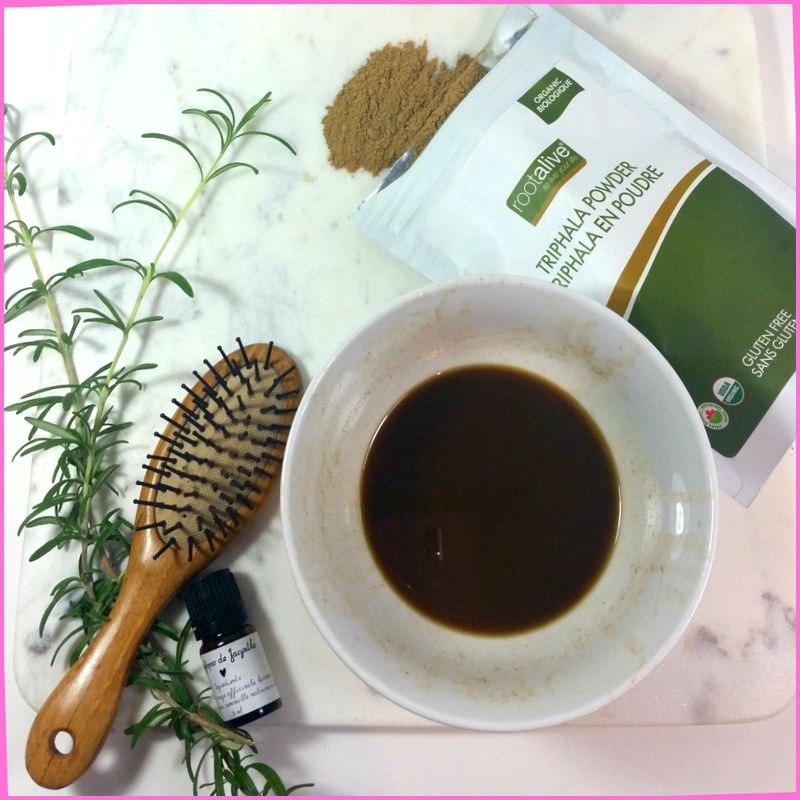 + DIY Triphala Hair Strengthening Recipe – pin er’ please!!! 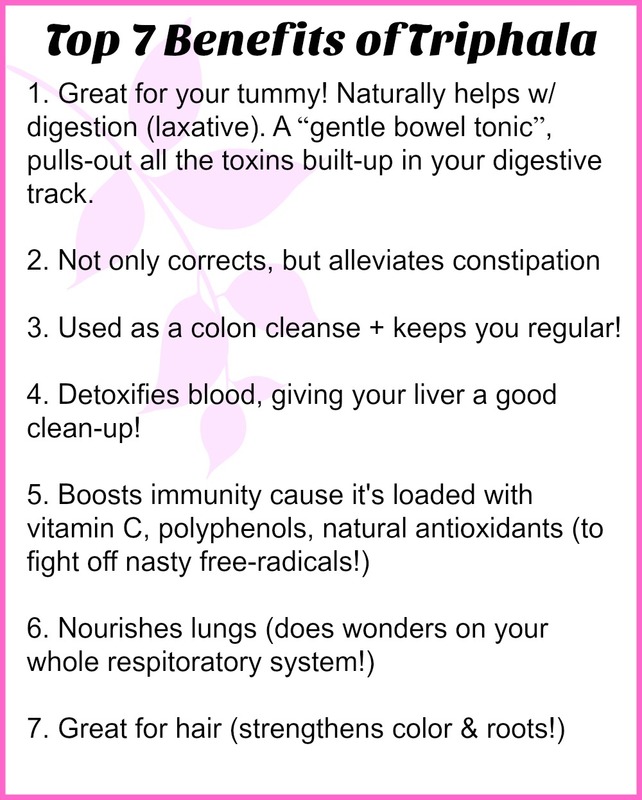 Pinterest is one my fav resource for “triphala tips” if you want more info on this super powder. It’s definitely worth the read if you think it could help your body. 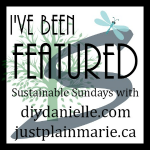 Want more DIY SKINCARE – check it out! Your skin will thank you! Thanks for commenting & reading my link! Definitely a fan of link-ups 🙂 Hope triphala serves you well too! Love it, I must try this !! I’ve known about Triphala benefits for years, but I am yet to try it, what a dumbo I am! Although I often take amla on it’s own for a natural vitC, and I do a hair DIY with it just like you. I use it as a scalp mask each week and I don’t know where I would be without it.